EPM is currently working on its third consecutive term contract to provide hazardous material consulting services on an as-needed basis at DASNY buildings and facilities in the greater New York City area. 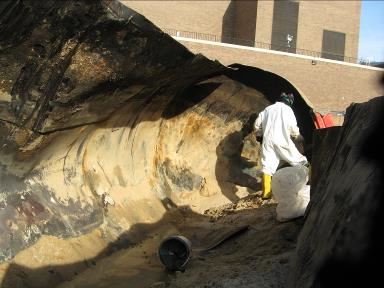 The work primarily involved asbestos investigation and abatement oversight, (additional services included mold and PCB related services), soil/groundwater investigation and remediation oversight, and wastewater sampling. Voorhees Hall Basement HVAC ducts. Court Officers Training Academy (COTA) Oversight. Other services provided by EPM staff in support of this contract include attending pre-work meetings, reviewing of contractor submittals, daily status reporting, and preparing closure reports. EPM has conducted numerous hazardous material investigations and abatement oversights throughout all four buildings at Coler Hospital located on Roosevelt Island since 2006. 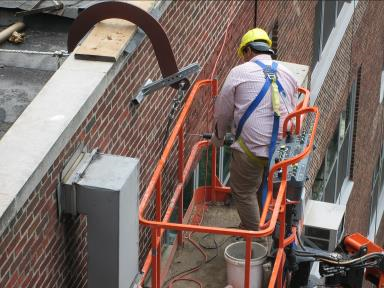 Abatement Oversight for Roof Replacement and Façade Repairs at Building A, Window Replacements at Buildings A and C, and Building A First Floor Chase in response to the Heat Generation Replacement Project. Hazardous Materials Investigation, Remediation Design, and Abatement Oversight for Fire Sprinkler Infrastructure in both Buildings A and B and Fire Sprinkler Fit Out. Hazardous Materials Investigation and Design documents which included Universal Waste, Asbestos, PCB caulk and Soil investigation in areas that would be impacted by the installation of the Heating System. EPM provided asbestos, PCB and a universal waste investigation, design and abatement oversight in association with a façade re-cladding project. EPM provided a Hazardous Material Investigation and Design Services for the Harlem Hospital Demolition Project. 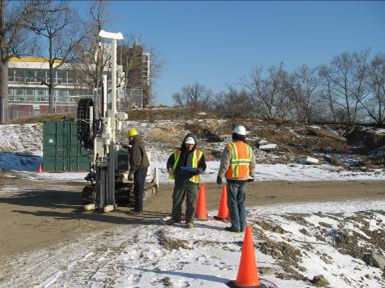 The work included a preliminary site assessment to identify potential areas of contamination, followed by a detailed soil and groundwater sampling investigation to better define the types and extent of contaminants potentially impacted by the proposed demolition activity. Design technical specifications, drawings, and construction cost estimates were prepared for the proper handling, transport, and disposal of contaminated materials, including soil, groundwater, and underground petroleum storage tanks. EPM also designed the removal of several underground storage tanks to obtain closure for the NYSDEC Hazardous Material Spill associated with the tanks.